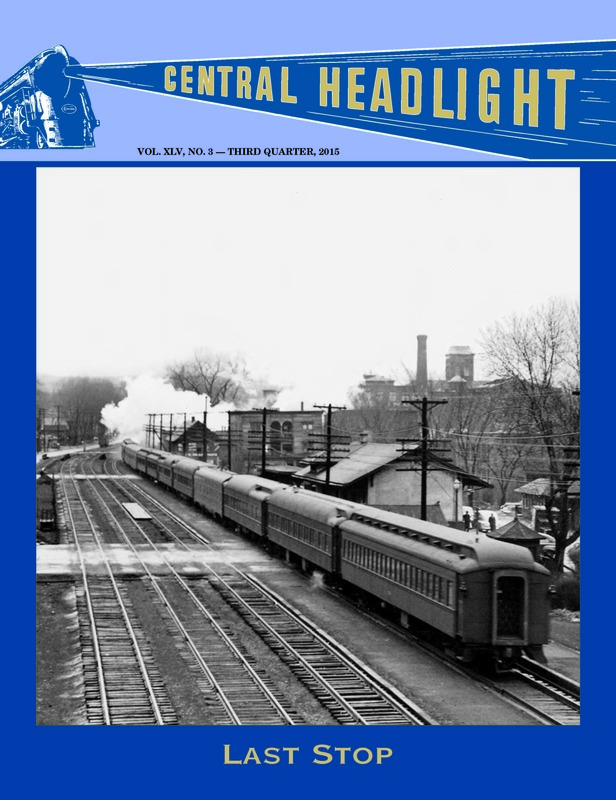 It is expected that the Third Quarter 2015 issue of Central Headlight will be mailed to all members in good standing during the first week of August. Please note that if you did not renew your membership for 2015, you are not on the mailing list. The lead article, written by the late Douglas Preston, a highly respected rail historian, responds to an intriguing question raised in Central Headlight several years ago: Why would the New York Central engage in the costly track relocation project at Herkimer, New York while World War II was raging? The answer is fully disclosed in Doug’s carefully researched and nicely illustrated article. Other articles in our August issue take us to three locations on the NYC that were “off the beaten path,” the St. Lawrence Division, the Auburn Road, and the Cincinnati Northern. What’s more, there’s a discussion about a J-1d Hudson that tried to masquerade as a J-3a; a look at some NYC artifacts that found their way to Cape Cod; a remembrance of a man who scratch-built beautiful models of NYC electric locomotives without any power tools, and a discussion of the manner in which NYC telegraph operators reported local weather conditions. As you can see, there’s something for everyone in the Third Quarter issue of our magazine. If you’re not a member, get hold of some great late summer reading material.